FFA - U.S. Court of Appeals rules CAIR national must stand trial for massive fraud, RICO. The Council on American Islamic Relations is now charged with fraud and cover up perpetrated against hundreds of victims. The Council on American Islamic Relations (CAIR) will stand trial on charges of fraud and cover up for alleged crimes perpetrated against hundreds of victims, according to a new ruling by the U.S. Court of Appeals for the District of Columbia. The case against CAIR National was originally dismissed by a federal judge but unanimously overturned by the appellate court. Two cases are involved in the suit, which the appellate court consolidated into one, since both cases involve racketeering, a federal RICO (Racketeer Influenced and Corrupt Organizations) crime. The lawsuits claim that CAIR National was aware that Morris Days, the “Resident Attorney” and “Manager for Civil Rights” at the now defunct CAIR-Maryland/Virginia chapter in Herndon, Virginia, was in fact not an attorney and that he failed to provide legal services for clients who came to CAIR for legal representation. Moreover, the suits claim, CAIR knew of this fraud and purposefully conspired with Days to keep the CAIR clients from discovering that their legal matters were being mishandled or not handled at all. In addition, the complaints allege that, according to CAIR’s own internal documents, there were hundreds of victims of the fraud scheme. While the original federal judge in the case ruled that Days and CAIR’s Virginia chapter were liable for fraud, he concluded that CAIR National was not responsible for Days’ conduct. The appeals court, however, found that, upon a review of the evidence, there was a direct relationship between CAIR National and Days. 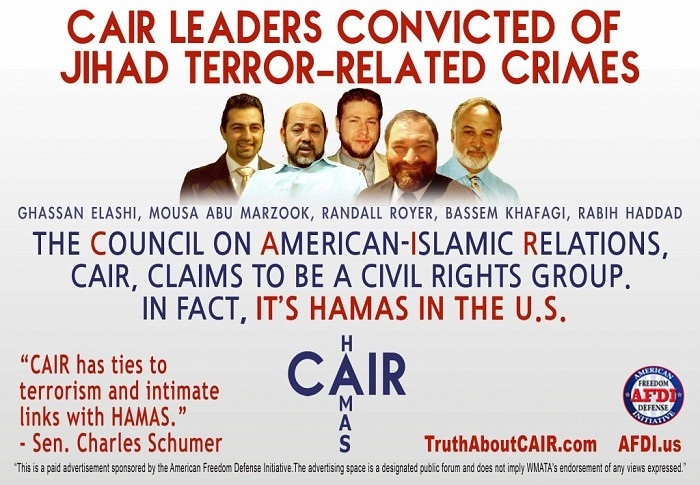 David Yerushalmi, senior counsel for the plaintiffs in the case and co-founder of the American Freedom Law Center, remarked, “CAIR engaged in a massive criminal fraud in which literally hundreds of CAIR clients have been victimized. Florida Family Association congratulates David Yerushalmi for his outstanding work.